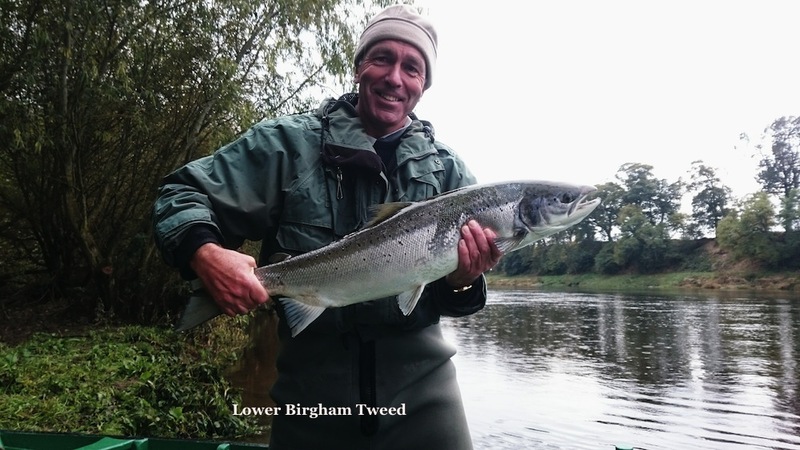 Chairman of the Lower Birgham Fishing Club syndicate, Martin St Quinton, enthusiastically assisted by Boatman Ryan Morrison, enjoyed a red letter day last Thursday when he landed six Salmon to 18lbs and an 8lb Sea Trout from the Lower Birgham beat, part of an 11 fish catch for the day. And Ryan (bravely) took the opportunity to try out his new waterproof phone to capture these stunning underwater shots of the 18 pounder being released. His six salmon weighted 18, 17, 14, 14, 9 and 4lb.